I'm always always looking for a way to style my Nikes casually, and you do it so effortlessly here! Beautiful. And we can trade lives for a bit...I'll do some traveling for you in exchange for non-mosquito bit ankles and home brewed coffee. After an ankle injury, I rediscovered the comfort of sneakers and I would never give them up again. Egyptian Magic works wonders on mosquito bites! i totally feel you on comfortable sneakers! you should totally invest in some new balance sneakers- they're the best. I love it. It's great to hear that somebody embraced the snickers. I always feel bad when I wear them, but they do feel so good. Maybe I will take them to my trip to Barcelona. i've also only recently (in the past year) started wearing sneakers - they really are life changers! 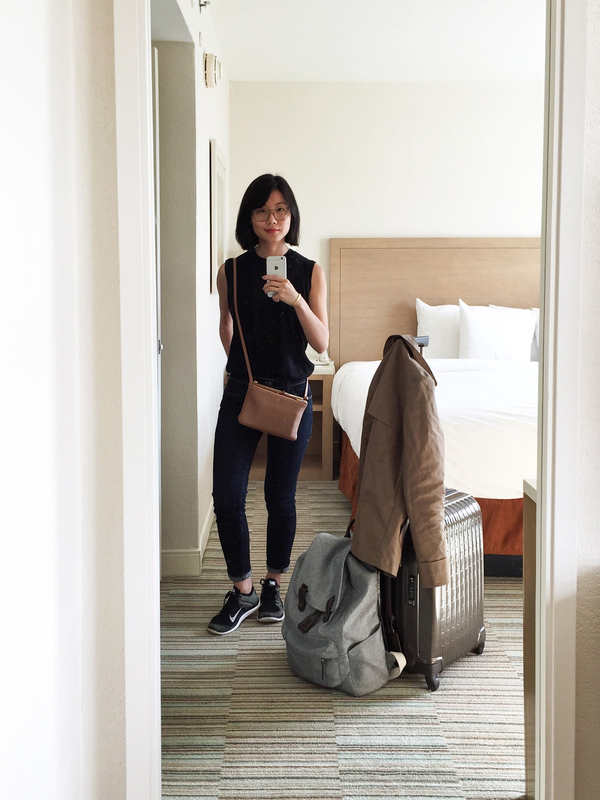 Do you just use that Everlane backpack with an insert for all your camera gear? I'm looking for a good camera bag for traveling. I use it with domke wraps that I wrap my camera and lenses in. Hope that helps! Superb information about travel destination. I impressed from your info, Thanks to share with us..
i was wondering what size you got your top and trench coat in? hi! the top is a size small and the trench is an xs.